If you’ve ever confused secured loans and bridging loans as one and the same, you’re far from alone. And in a sense, you’re not entirely mistaken. By definition, a bridging loan is a type of secured loan. Hence, the two products have a great deal in common. But there are nonetheless key differences the prospective applicant needs to consider. So to help clarify things, we’ve detailed the specifics of both secured loans and bridging loans below. 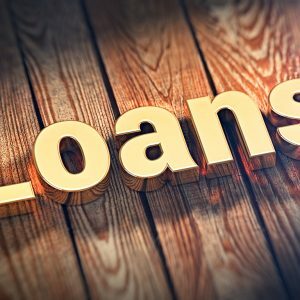 The term ‘secured loan’ refers to almost any kind of borrowing product, wherein the applicant provides collateral to cover the cost of the loan. Open to business and domestic borrowers alike, secured loans are ideal when sizeable sums of cash are needed for almost any purpose. In a working example, a borrower is looking to borrow £100,000 and owns a property worth £200,000. The lender is happy to offer a maximum of 75% of the property’s value (£150,000) so can offer the £100,000 required with the property as collateral. As the loan is secured by a comfortable margin, competitive borrowing costs can be expected. If the loan isn’t repaid in accordance with the contract, ownership of the property passes to the lender. When Would You Need a Secured Loan? A bridging loan is a specialist type of secured loan, which is typically paid out and repaid within a much shorter time period. Available with no upper-limit, a bridging loan can be accessed in a matter of days and is usually repaid in one lump sum around six months later. Repayment periods rarely exceed 12-18 months. As the name suggests, these loans are designed to ‘bridge’ the gap between a current financial shortcoming and a future income source. In a working example, the borrower could use a bridging loan to buy a dream property at an unbeatable price, while waiting for the sale on their existing property to be finalised. Alternatively, an investor could use a bridging loan to secure a bargain property at auction, in order to be sold shortly afterwards for profit. The borrower’s assets (usually property) are used to secure the loan, which again are transferred to the lender in the event of non-payment. When Would You Need a Bridging Loan? So while the two share many similarities, the differences are also clear. A secured loan could be paid back in installments over anything up to 40 years, while a bridging loan is repaid in a single lump-sum payment in a matter of months. Bridging loans also provide the fastest possible access to urgently required funds, typically reaching the borrower’s account within a matter of days. To find the ideal loan for your requirements and budget, work with a reputable independent broker to access the UK’s leading specialist lenders.